“We identified a substance called sulforaphane that we showed reduces the exaggerated glucose production from the liver, which is a central mechanism in type 2 diabetes,” lead author Anders Rosengren, MD, PhD, of the University of Gothenburg, Sweden, commented to Medscape Medical News. The research is unusual in that it began with genetic work to identify a candidate compound, and the investigators then conducted various tests in cell lines and animals, up through to humans. “Many studies have made claims about the benefits of different food components, but few have investigated the mechanism behind it,” Dr Rosengren explained. The study used highly concentrated broccoli extract, which would be equivalent to eating about 5 kg of broccoli per day. Because it’s almost impossible to eat such large amounts of broccoli, sulforaphane needs to be taken as an extract or concentrate. Past studies have looked at broccoli extract in cancer and inflammatory diseases and found it has few side effects. The results are “very encouraging,” he added, but stressed that more work is needed before it can be recommended to patients with diabetes. The researchers used gene-expression data to identify a network of 50 genes involved in exaggerated glucose production from the liver in type 2 diabetes. Then they tested 3800 compounds and used mathematical modeling to see which one downregulated the overexpressed genes best. That identified sulforaphane as the top candidate. Further studies showed that sulforaphane decreased glucose production in mice liver cells. Researchers then looked at sulforaphane in rats and mice with diet-induced diabetes and found that the compound prevented the development of glucose intolerance. It also improved glucose tolerance in animals who had already developed intolerance, to a degree similar to metformin. Finally, the investigators tested sulforaphane in a double-blind placebo controlled randomized trial in humans with type 2 diabetes. All participants were taking metformin — 60 had well-regulated diabetes while 37 had dysregulated diabetes (20 nonobese, 17 obese). Participants were randomized to broccoli extract or placebo for 12 weeks. In the broccoli-extract group HbA1c levels decreased significantly after 12 weeks (P = .004), while the placebo group showed no difference from baseline (P = .5). And participants who started the study with dysregulated diabetes showed significantly reduced fasting blood glucose with broccoli extract compared with placebo (P = .023). And specifically in the obese patients with dysregulated diabetes who received broccoli extract, both fasting blood glucose and HbA1c significantly decreased compared with placebo (P = .036, and P = .034, respectively). 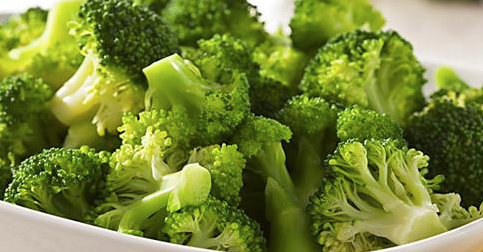 However, broccoli extract showed no effect in participants with well-regulated diabetes. Some patients who took broccoli extract experienced gastrointestinal discomfort and flatulence. But these symptoms disappeared after the first few days, and there was no significant difference in adverse effects between the broccoli-extract group and placebo. The work also identified a potential mechanism for sulforaphane’s effects in these patients — it affects a transcription factor called erythroid 2–related factor 2 (NRF2), which induces changes in the liver to decrease expression of key enzymes involved in glucose production. Obese patients may stand to benefit most from the extract because glucose production from the liver is particularly exaggerated in obesity, Dr Rosengren explained. Further studies are needed, however, before broccoli extract can be recommended for patients, he reiterated. Dr Rosengren and colleagues plan to now test the extract in individuals with prediabetes to see whether the extract can help prevent diabetes developing. Currently, they are working with a farmer-owned organization in Sweden called Lantmännen to make the extract available as a functional food preparation. The study was sponsored by Lund University. Lantmännen provided the broccoli extract and placebo for the study, and Lantmännen Research Fund financed part of the study. Lantmännen reports no influence on the study procedures, data analysis, or data interpretation. Rosengren had no relevant financial relationships. Two coauthors are inventors on patent applications submitted by Lund University that cover the use of sulforaphane to treat exaggerated hepatic glucose production. The rights to use this patent have been licensed to Lantmännen. Esta entrada se ha publicado en Alimentación, Artículo, Efectos Secundarios, Estudio, Nutrición, Prevención, Sabías que, Salud, Vale la pena ver y se ha etiquetado como antioxidante, brocoli, cancer, combatir la diabetes, diabetes tipo 2, enfermedades inflamatorias, glucosa del hígad, pacientes obesos, placebo, sulforafano. Marca el vínculo permanente.